Alex is FREE on all retailers. 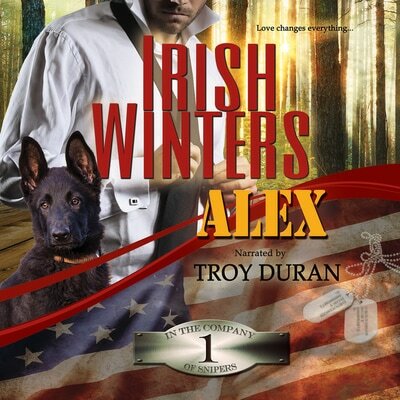 Kelsey is the last thing Alex expects to find, and everything he’s running from. To make matters worse, she can't remember anything but her first name. Neither can she explain the marks on her body, nor why two darling baby boys haunt her dreams. The United States Marine has fallen in love with his best friend’s fiancée. Now he has to tell Libby Clifton that Jon was killed in action. 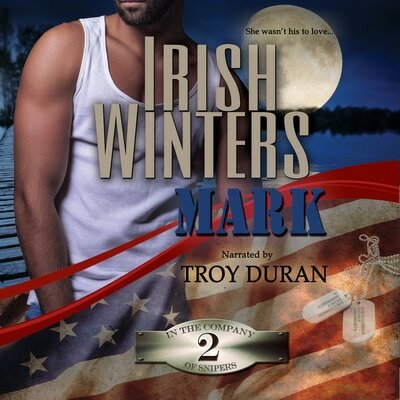 When Mark accompanies his friend’s body home to Spencer, Wisconsin, he realizes how deep his feelings for Libby are. He dares to hope—until she confides that he’s the only friend she has—the very last thing a man wants to hear. Or be. Can you blame him? Life is perfect for Zack ennox. He's got it made: fast car, fast women, and the best job on the planet - until he comes face to face with a tiny girl caught up in a child-smuggling ring. The moment he decides to rescue her, fun and games are over. He just doesn't know it yet. Life is anything but fun for Mei Xing, a single mother searching for her kidnapped daughter. When law enforcement proves worthless, she takes matters into her own hands and runs headlong into the handsome Agent Lennox. He's cocky and self-assured. She's determined to run over anyone in her way. How difficult could it be to dupe him into telling all he knows? 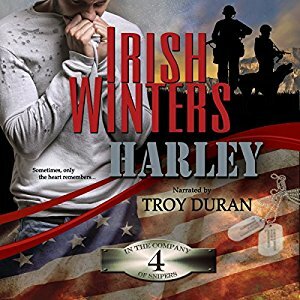 Suddenly back in Iraq, US Army Corporal Harley Mortimer searches for the men he left behind. He finds himself lost in a world where guilt never lets go. There is no peace or rest. Only war. Only despair. Only—didn’t he survive this exact scenario once before? And who the hell is Judy? Connor Maher is about to find out. As if dogging the brutal Sonoran Cartel through sun-baked Utah isn't tough enough, he's come face to face with his worst nightmare. Diminutive ex-Marine spitfire, Isabella Ramos, has just three words to say to him: I. Hate. You. ​Like he hasn’t heard that before. Tall, dark and Hollywood handsome, the ex-Marine scout sniper maintains a private life none of his teammates suspect. He intends to keep it that way- until assassins murder the father of the tiny Tibetan girl in his charge. 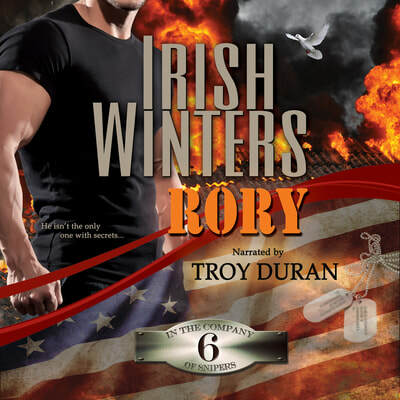 Rory finds himself tossed into a world of mystery and intrigue, far away from his very private life. He and his companion agent, Ember Davis, are forced to flee with Nima Dawa. Too late, he realizes that not only is Nima destined to become the next Dalai Lama, but she holds an unearthly gift of sight. ​ She can see right through him. And she does. ​But he isn't the only one with secrets. Stoic ex-Marine Taylor Armstrong survived his arrogant father and one too many deployments. Battered and disillusioned, he’s built a wall to keep the world at bay. His rule is simple: a man can’t lose a friend he’s never made. It works—until an arrow rips into his chest and changes everything he thought he knew about his father. His mother. Himself. ​Even if she has to tie him to her bed. Alex Stewart is dead. Murdered. ​Maverick Carson returned home from war with too much pain and not enough honor. Searching for a way to forgive and forget, he quits The TEAM and starts walking. He's in Wyoming when the sight of a pretty girl riding a massive draft horse steals his breath—until the hillside gives way. 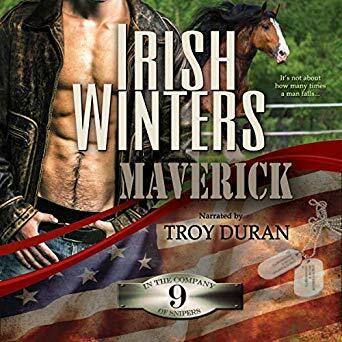 Rushing to her aid, he runs straight into the world of China Wolf, the headstrong owner of the Wild Wolf Ranch and the finest Percherons in the country. She doesn’t need a man in her life. Never has. Never will. China Wolf has responsibility enough between the rowdy horses she loves, the wayward sister she tolerates, and the precocious niece she adores. Besides, Maverick’s made it clear he’d rather hit the road than hang around her ranch. Why should she care? She doesn’t—until she glimpses the cowboy in the man. ​Maybe she does need... Just. This. One. Hardheaded Junior Agent Cassidy Dancer has come face to face with the false prophet of the insidious Palma Christi Cult. Not what she intended. She’s always believed she was every bit as good and twice as tough as most men. Until now. Bound to Lucien Cain’s dreaded punishment board, she’s about to be disciplined. The iron brand is blistering hot. There is no hope in sight. Not this time. Not Jude Cannon. He’s just an accountant and a desperate father searching for his missing daughter. He can’t take chances, and he certainly can’t blow his cover to help that woman caught in Lucien’s evil snare. The woman with big, brown eyes brimmed with tears she won’t let fall. The one who needs a white knight on a white horse to ride in and save her. Jude is not that man. Is he? Her father’s dream. Not that Shannon has a choice. She already has everything she’s never wanted. Obscene wealth. Dubious fame. A failed marriage. An unwanted pregnancy. When her father’s integrity comes into question, she jumps at the chance to redeem him by accompanying the drone prototypes to Hawaii. Why not? It’s a simple flight across the Pacific with Agent Torrey. She’ll be in one of her father’s corporate jets. ​What could possibly go wrong? ​This might just be the toughest mission Lee’s ever been assigned. Despite the current state of the country, Tess sees beauty and grace in Afghanistan. She sees hope. Working as a foreign-aid worker by day and cat burglar by night, she’s stolen back from the despicable Hasim Nizari, the Taliban banker, what he stole from the museum in Kabul. She’s hell bent on rescuing the relics of her adopted country, and she’s got the brass balls to do it. 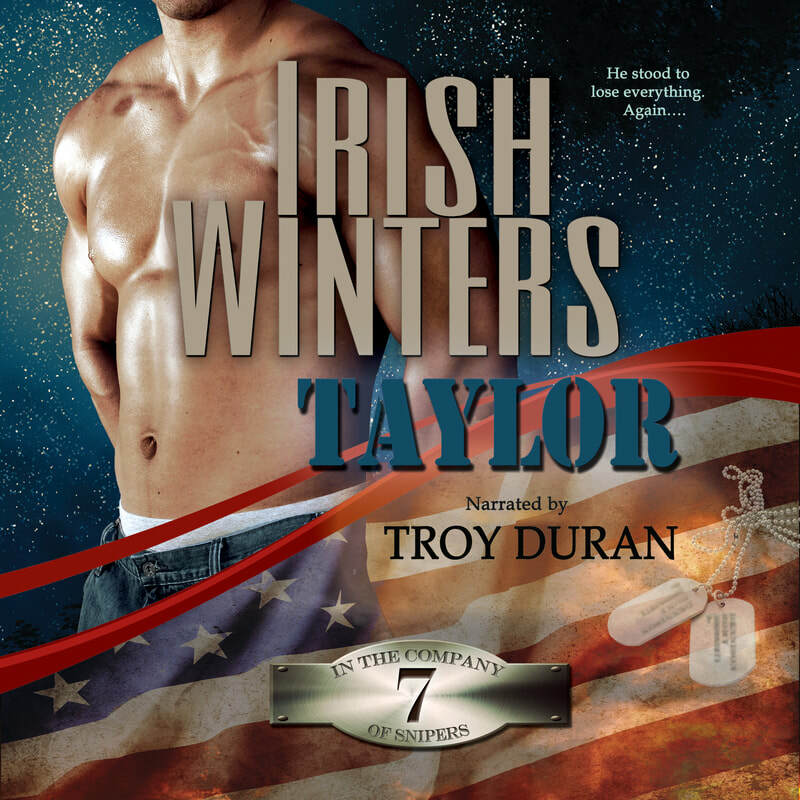 TEAM Agent Ky Winchester survived a brutal encounter with a Taliban madman because of a woman with green eyes, an angel he thought he’d dreamed in the depths of torment. She came to him in that far off torture chamber, cloaked in the tender magic of hope, and he was willing to believe he might survive his nightmare. It’s too bad he never thought to ask her name. Too bad he’ll spend the rest of his days searching for her. Hunter Christian sure as hell didn’t. He was a Marine. A warrior. The last thin line of defense against evil in the world. He’d killed for his country and he’d do it again. He just didn’t expect that call-to-arms would come in the middle of one of those easy TEAM ops in Brazil, nor that he’d have to kill in front of the woman he’d once given his heart to. Now Meredith Flynn is in the jungles of Brazil beta testing the latest Active Camouflage System out of McCormack Industries. The last man she expected to see there was Hunter Christian. They used to be friends. They could've been lovers. Only now, his once gentle heart is as hard and unforgiving as the profane ink on his chest and arms. He wears his tattoos like defiant badges. Are all soldiers as cold as he is? Junior Agent Eric Reynolds’ sole assignment is to locate the elusive hacker, Finn Powers, and protect him from the ISIS terrorist who had already beheaded two of Finn’s friends. There’s only one problem. The frightened civilian won’t stay put. 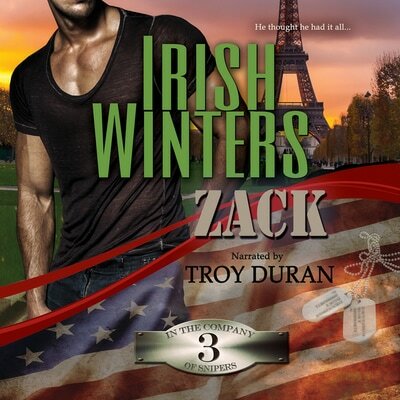 Eric chases him from Amsterdam to England, then onto Ireland before he finally makes first contact with Finn Powers. The moment they meet, Eric senses an eerie connection, as if he’s met this trouble making genius before. In a dream? Finn isn’t Finn at all. He’s Eric’s ex-wife, a.k.a. Shea Powers Reynolds. In a dizzying fall from grace after the death of their only child, she’s been out of the country and off the grid for two hard years, disguised beneath layers of a fat suit named Finn. The day Shea witnesses her friend’s murders she knows she’s next. There’s only one man who can save her from herself now. Eric. While in the Marines, Lacy Wright served by providing security to the international press corps in Afghanistan. Now she carries every image of the carnage she witnessed like a curse. To deal with the pain of all those hard memories, she commits the men and women she saw die to canvas. With a steady hand, she gives them a few last moments of life. She breathes on them and she talks to them. She calls it painting them home. Jake calls it crazy. Former Army Sergeant Seth McCray is a haunted man. For years, he’s been visited, nagged, and tormented by the ghost of a teenage girl he killed in self-defense. If she hadn’t been gunning to murder someone the night their paths crossed, she’d still be alive. He’d only have one ghost to deal with then: Katelynn, his fiancée who died in a horrific car accident. Seth is a lonely but honorable man. As hard as life is without Katelynn, he promised he’d love her forever. And he will. Devereaux Shepherd is running on empty. A single mom and the beleaguered sister of a brother with a hero complex, she’s given so much of her heart away there’s barely any left. 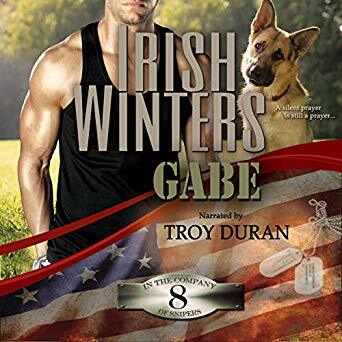 Until the night she crashes headlong into handsome Seth McCray... Until their instant attraction smolders… But Seth is in love with another woman. Dr. McKenna Fitzgerald never married. A dedicated pediatrician, her life’s work is caring for other people’s children. After surviving childhood abuse at her mentally ill mother’s hand, she’s determined no little one in her care will ever experience what she lived through. It’s a noble calling, helping children and their parents navigate those stressful early years. She couldn’t be happier. She’s content and she’s successful. She has everything she’s ever wanted. If you wanted more of the heroes you've fallen in love with in the series, this is it. Christmas Hearts covers six short stories of Christmases spent with Alex and Kelsey, Mark and Libby, Zack and Mei, Rory and Ember, Murphy and Moira, and, for the first time, Sasha Kennedy, whom we all know as Mother. ​I offer this collection to my fans in the spirit of the season, as a gift of the heart.